Original photo of the window from the stairwell inside the Drury Paine Armstrong House. 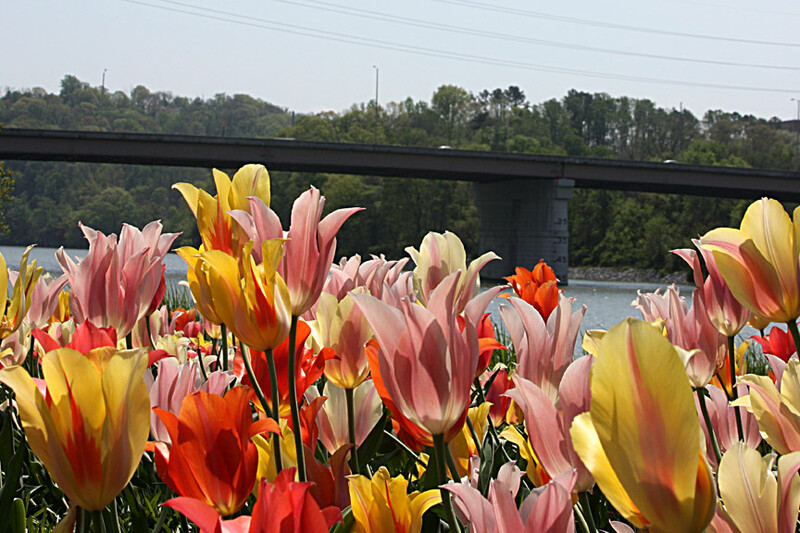 Tulips with the Alcoa Bridge in the background. 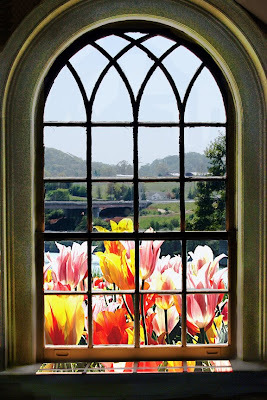 Window with tulips added from the bridge photo. The tulips at Crescent Bend were the largest tulips that I had ever seem. 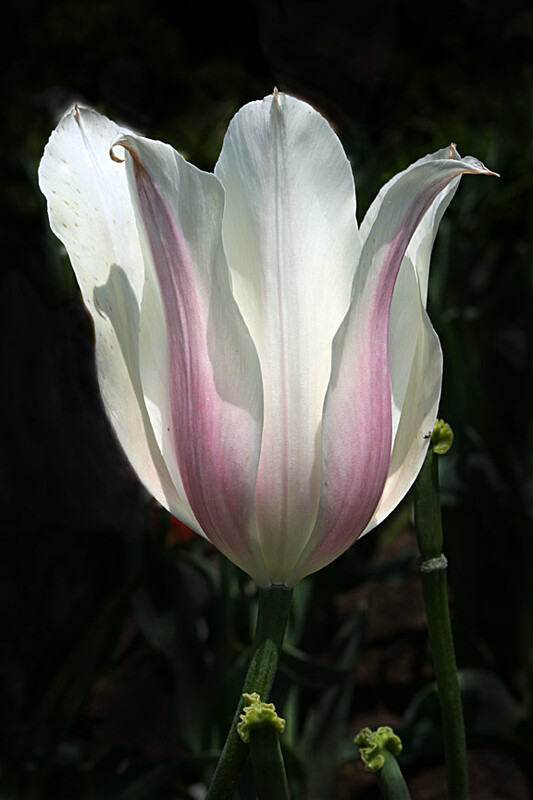 Here is a large one with the sunlight shinning through. 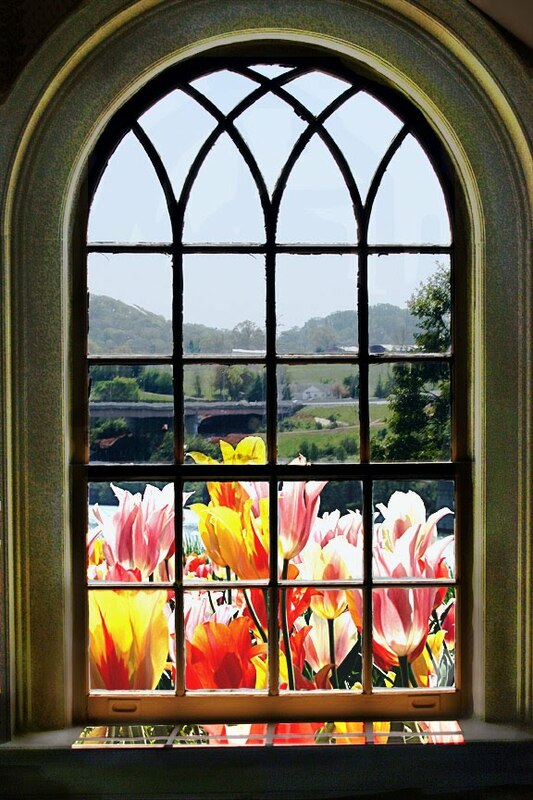 The home was built in 1834 by Drury Paine Armstrong and contains an exquisite collection of 18th Century American and English furniture, decorative arts and an outstanding collection of English silver. 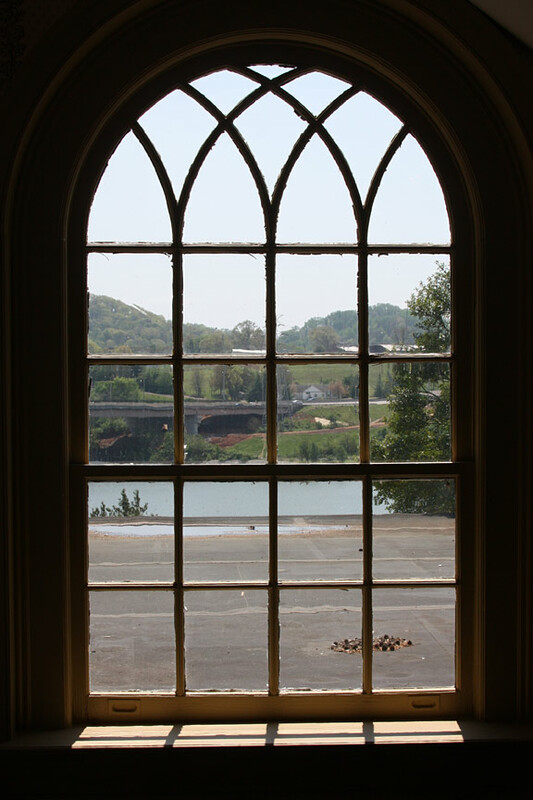 Visitors can also enjoy the three-acre formal, Italian-terraced gardens overlooking the Tennessee River.